I was the one in charge of poaching, and, without realising, cooked every single egg in the house! We had every single type of chocolate egg imaginable, but no regular eggs! So I’ve just returned from the markets (which were thankfully open!) with some more eggs to tide mother and myself over for our plans for dinner tonight. We’re having a few friends over tonight, very low-key stuff. What are your Easter plans? 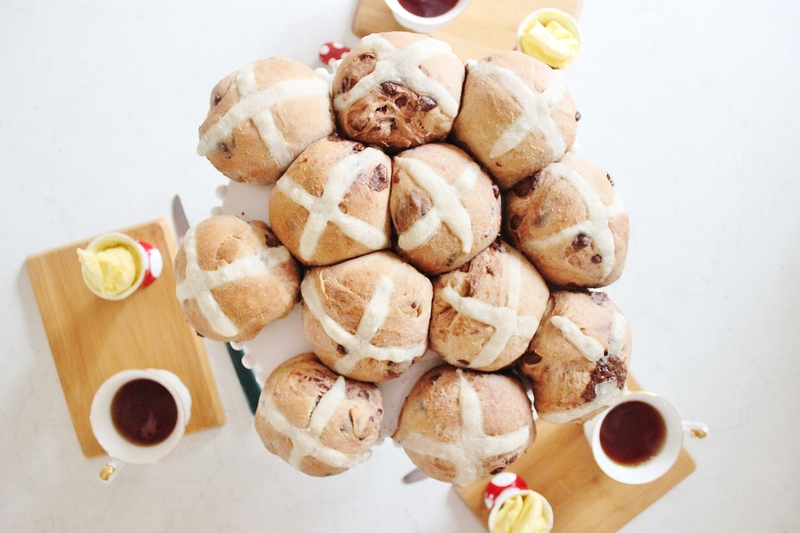 I hope they involve making hot cross buns! Combine your yeast, flour, sugar, cardamom and mixed spice. 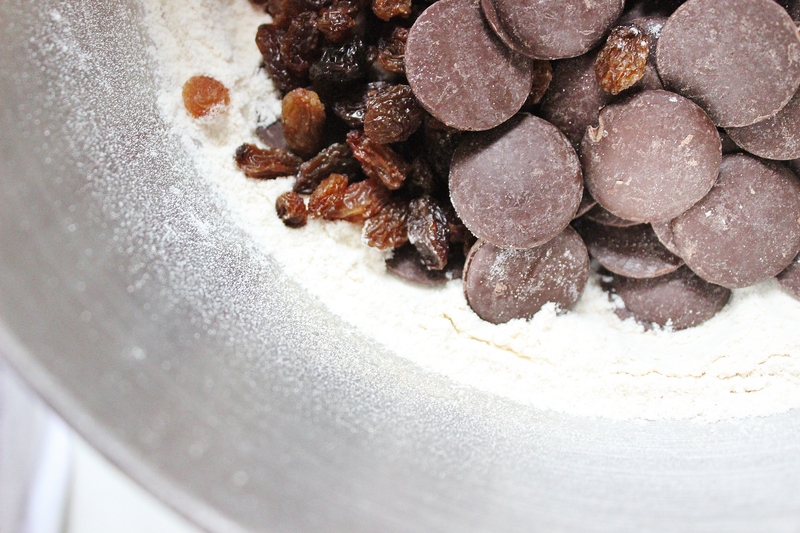 Add in the sultanas and chocolate. Set to one side. Make a well in the centre of your flour mixture and add in the milk and eggs. And mix well. Knead with your stand mixer at a medium speed for 4 minutes. If kneading by hand, knead for ten minutes. 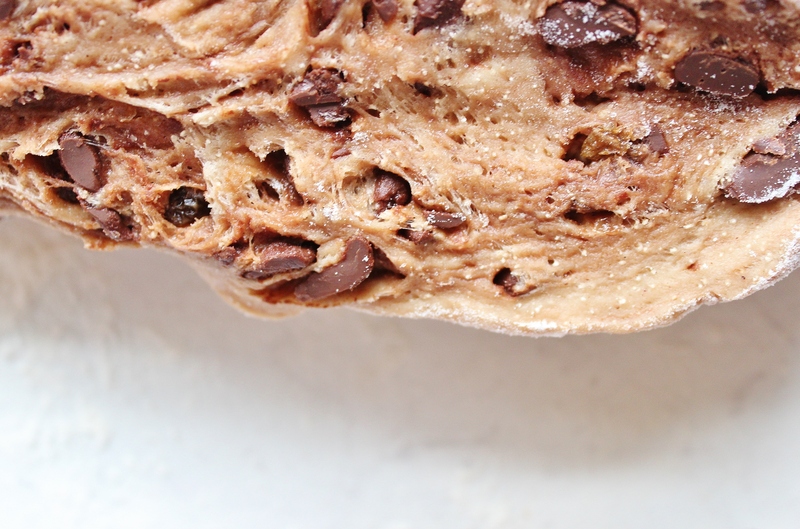 You may need to rotate the dough a little bit so that the chocolate at the bottom doesn’t melt into the mixture. 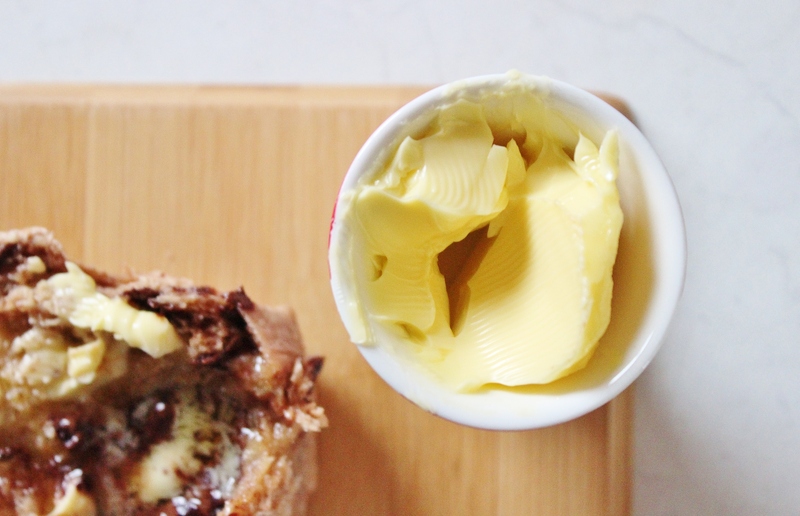 Grease a bowl (with 1 tsp of melted butter) and pop the dough mixture in it. Fleck a tea towel with warm water and place over the top of the bowl. Set in a warm place for 1 – 1.5 hours, until doubled in size. Line them up on your greased tray and spread them out evenly. Set them in a warm spot to rise for 15-20 minutes. Cover with a tea towel flecked with water again. While they’re rising, make your paste by mixing together the flour and water. Set to one side. Preheat your oven to 190°C. 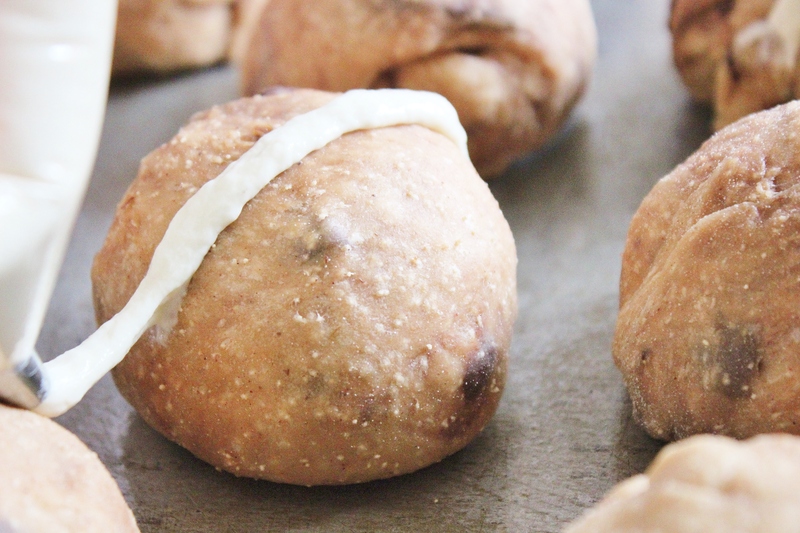 Grab your risen dough and huddle them closer in together, so that they’re just touching. Pipe the crosses over them. Pop them in the oven for 20-24 minutes. Serve piping hot, with plenty of butter. Ps if you like chocolate and cardamom together, check out this cake. It’s kind of awesome. Love the additions to the traditional recipe! Yum!! 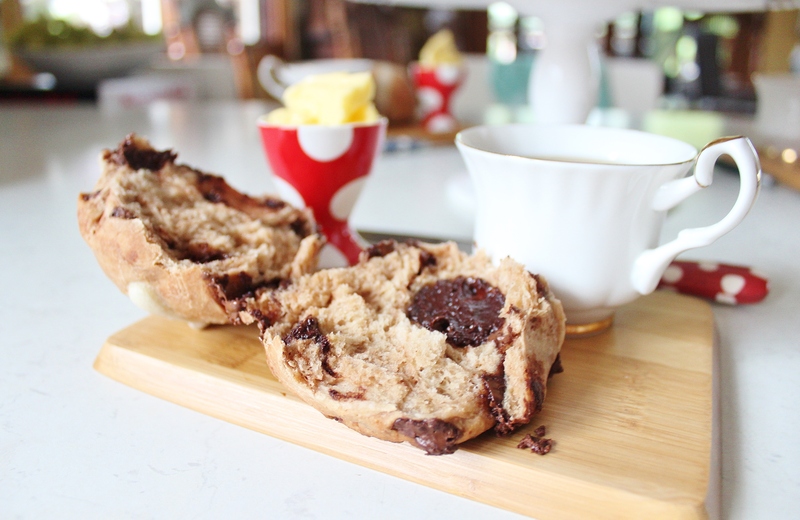 Thank you 🙂 You can’t go wrong with a good hot cross bun! wow – your buns look great! Cardamon is such a fab flavour to add.